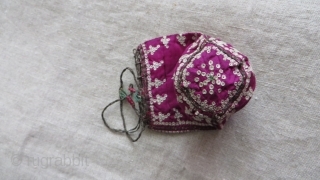 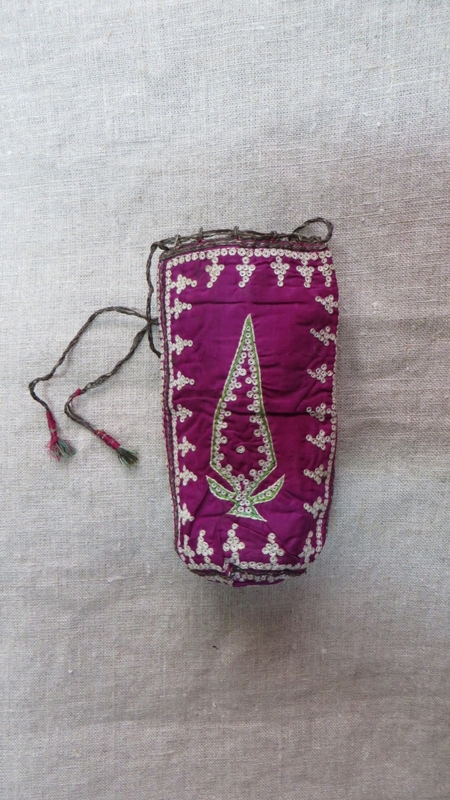 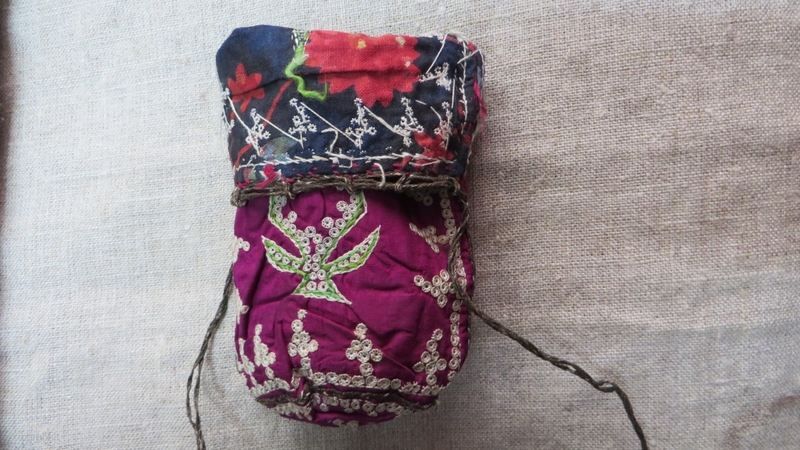 Azerbaijan silk embroidered pouch. Very fine Chain and Bird's eye embroidery on silk.braided metallic and silk thread locking yarn with silk tassels. 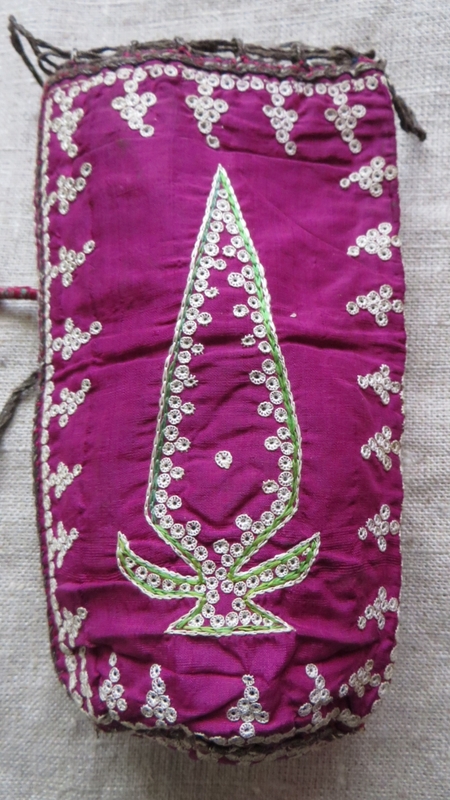 Printed cotton lining. Circa 1900. 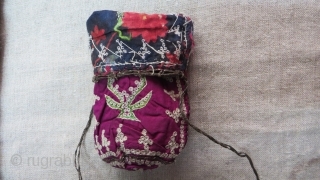 Size: 6" by 4"